and many other products that were shipped through the growing port of Baltimore. Today, we are using this power to clean the water of debris and litter that is carried by run-off downstream to the Inner Harbor. 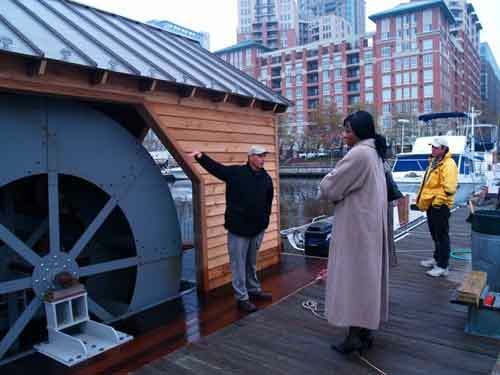 This trash mill uses centuries old technology to continuously remove trash from the Baltimore City's harbor waters. 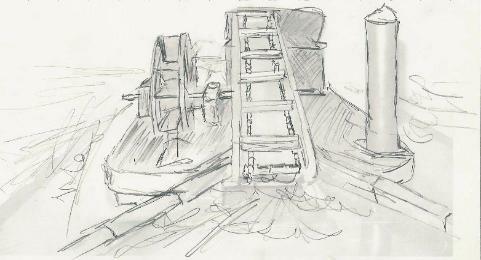 An “unique design river wheel” powers a ladder type conveyor that is submerged in the water on the upstream end. Trash booms guide the trash to this end of the conveyor where it is lifted from the water by the conveyor, it travels up the conveyor and is deposited in a dumpster. 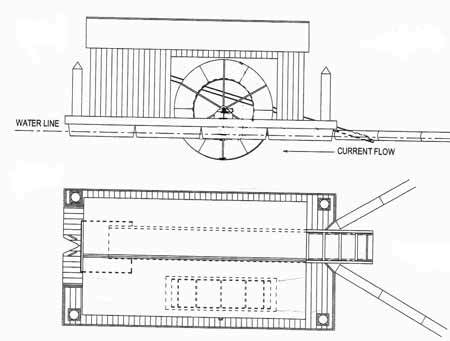 The Waterwheel and the conveyor are installed on a floating platform which is held in place by pilings. 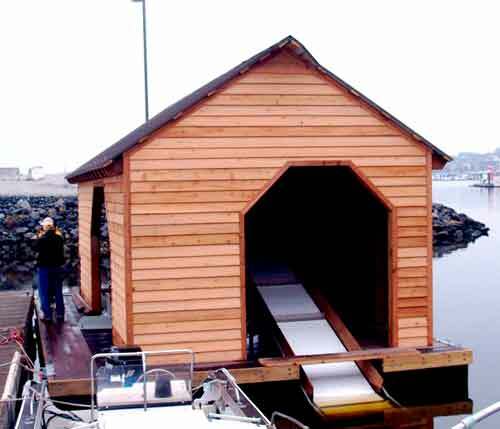 The dumpster is placed on a separate movable floating platform which is designed to be pushed by a boat of the type presently utilized by marine operation crews. These boats move the filled dumpster to a boat ramp where it is emptied by a disposal truck, returned to the float and to the interceptor. The interceptor is equipped with a clutch type reduction gear which is disengaged when the dumpster is being emptied. 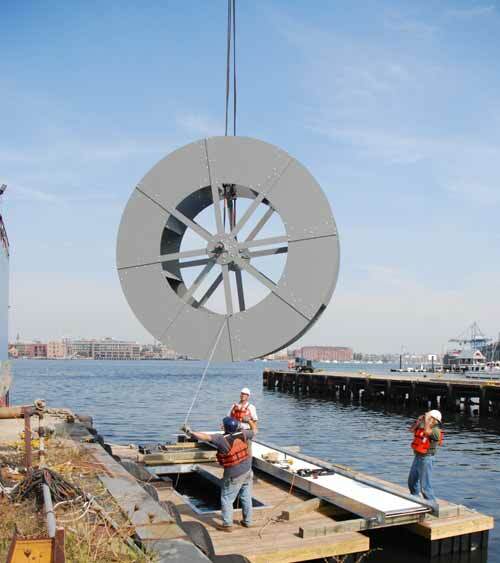 The specially designed 12 ft diameter river wheel developed by the Waterwheel Factory for this project is lowed into place on the barge unit. 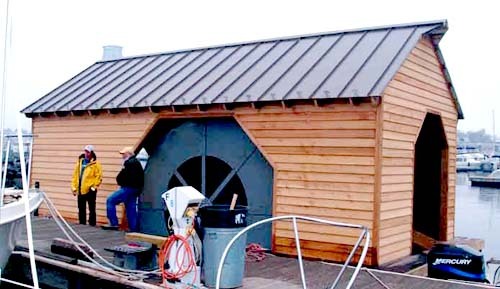 the history of the mills on the river, and increase environmental awareness. John Kellett and his staff are updating Baltimore City Officials on the project.